Tablet manufacturers love to talk about how magical their devices are, but HP’s Touch to Share truly is something else — you simply bump a paired Pre 3 into an HP TouchPad slate, and the data beams over the air — in this case, loading a website URL a la Chrome to Phone. While it uses the same induction coil technology to connect the twain as HP’s Touchstone dock (and Bluetooth to actually pipe those packets through the ether), you don’t actually need a Touchstone to make the magic happen this time around, only a pair of compatible devices. Representatives tell us that you do have to pair them beforehand, as well — you wouldn’t want an errant Pre 3 owner to swipe your banking session while you’re on the go, now would you? Don’t miss the video above. HP’s Touch to Share eyes-on, starring the TouchPad and HP Pre 3 (video) originally appeared on Engadget on Wed, 09 Feb 2011 17:22:00 EDT. Please see our terms for use of feeds. At last, the webOS-empowered TouchPad, HP’s answer to the growing tablet market. And make no mistake, it’s coming in with guns blazing — specs-wise, the slate stands up pretty well to the competition currently in play (e.g. iPad) and the other up-and-comers not quite out the gate (e.g. Motorola Xoom and BlackBerry PlayBook). Stacked side-by-side, it’s clear Apple’s entry is lacking a bit in both memory (256MB vs. 1GB for everyone else) and front-facing camera — not that we expect that to be the case for all of 2011. When it all comes down to it, what’ll set these slates apart will be the platforms and software themselves — should make for an interesting summer, no? In the meantime, for the nitty-gritty on technical specifications, venture past the break. How does the HP Veer look up close? Cute as a button, and small — these pictures don’t do it justice at all. 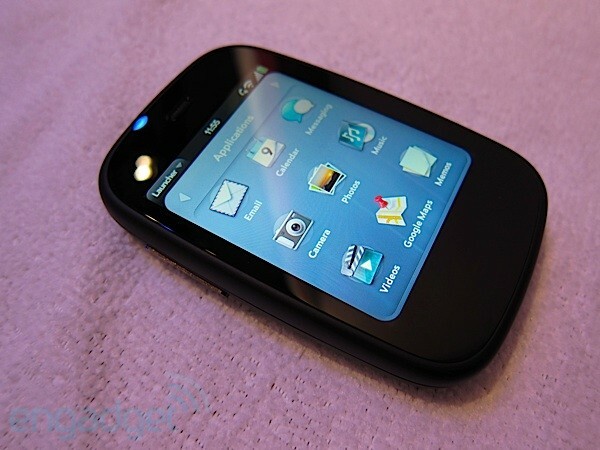 We just got our hands on the pint-sized webOS 2.2 smartphone, and snapped a stack of pictures for your viewing pleasure. You won’t be able to flip these around like playing cards, but they will give you a handle on what to expect from the miniature Pre 2 in the weeks or months to come, so click on through that gallery below. We’ll have video in a moment, too! Update: We went back for seconds and came away stuffed impressed by the power of the tiny machine — its form factor may bring back painful memories of the Kin One, but the Veer feels like a multitasking beast. Before our eyes, an HP rep swiped rapid-fire through enough apps to plan and communicate a Yelp restaurant date in under a minute flat, and there wasn’t so much as an instant’s delay when switching between each. We’re big fans of the form factor, small screen aside, the sliding hinge is solid with a delightful snap, and the cute little keyboard attached to that slider is fairly usable despite its size, with rubbery little keys that reminded us of those on the Palm Centro. What’s not to like? Update 2: Video after the break! Update 3: While we were unable to determine with certainty what carrier the Veer demo units were using, an IMEI was clearly displayed in the device info screen, leading us to conclude these were GSM phones (likely on AT&T). HP Veer, first hands-on! (updated with video!) originally appeared on Engadget on Wed, 09 Feb 2011 16:02:00 EDT. Please see our terms for use of feeds. 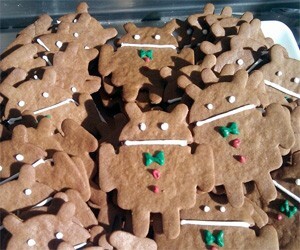 The Android versions keep on rolling today with the introduction of a new build in the 2.3 Gingerbread line — 2.3.3 this time — that improves developer access to the platforms newfound NFC capabilities as first seen on the Nexus S. What’s new, exactly? Well, there’s a new NFC read / write API that Google alleges will let you access pretty much any NFC tag on the market today, better control over what happens when a tag comes within range of the device, and “limited support” for peer-to-peer NFC communication — something Stanford cobbled together for the Nexus S not long ago. The new build is available now to developers using the Android SDK; no devices have received an update yet, but we’d imagine the Nexus S is queued up to get it before too long. Android 2.3.3 announced with more developer-friendly access to NFC originally appeared on Engadget on Wed, 09 Feb 2011 15:58:00 EDT. Please see our terms for use of feeds. By now, you know how HP’s new slate compares to the crowd — now, see how it looks up close and personal. We just got our hands on that dual-core Palm webOS tablet here in San Francisco, and it’s a beaut, with a slim black profile that highlights the brilliant 9.7-inch screen. We’ll be back in a jiffy with some impressions of that newfangled Tap to Share and card-based multitasking, but for now, simply feast your eyes on our gallery below. Update: Video time! Check it after the break. 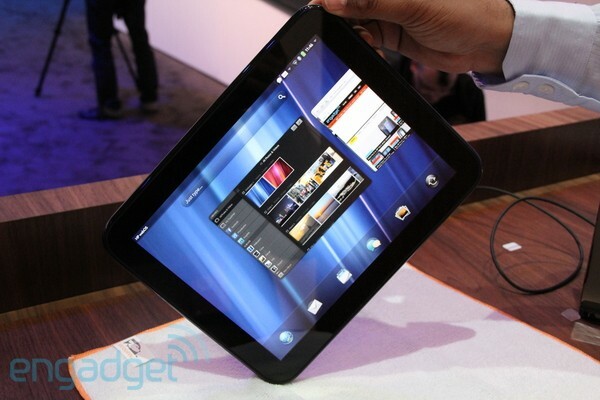 Gallery: HP TouchPad first hands-on! HP TouchPad first hands-on! (updated with video!) originally appeared on Engadget on Wed, 09 Feb 2011 15:35:00 EDT. Please see our terms for use of feeds. The HP Pre 3 is here! We just got our hands on one and snapped a whole bunch of pictures — see the gallery below. Stay tuned for our first impressions soon. We’re also still working on our shots of the Veer and the TouchPad, but sharp eyes can find both devices in the gallery below — there might even be some iPhone and Nexus S comparison shots, but we don’t want to give too much away. Update: We just had a chance to play around with the Pre 3 at some length… and we have to say it feels good. The body of the device is sleek and solid, and the weight feels substantial in your hand. The screen is a relatively spacious 3.6-inches, and webOS looks absolutely stunning on it. The extra resolution is a big help on readability and clarity. The slider mechanism feels fairly solid, though there’s a little give just at the end of it’s movement that made us slightly concerned. Compared to previous devices, however, it seems far tighter. We’re still messing around with the phone and will report back on what we find, but in terms of hardware quality, HP has taken a big step up here. As for the keyboard, it feels really fantastic. We realize this is very much a matter of personal preference, but we had zero problems typing quickly and accurately on the Pre 3 right from the get go. Update 2: Hardware hands-on video after the break! Update 3: More pics, including the Touchstone 2 dock. Gallery: HP Pre 3 first hands-on! HP Pre 3 first hands-on! (updated with video) originally appeared on Engadget on Wed, 09 Feb 2011 15:25:00 EDT. Please see our terms for use of feeds. 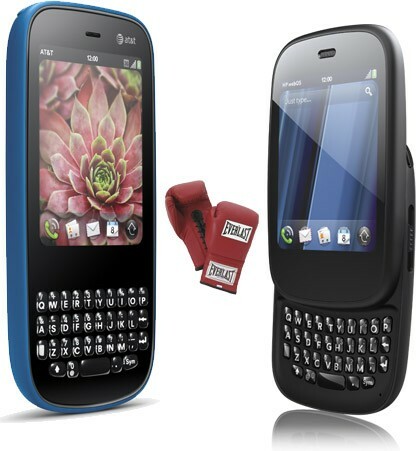 Palm Pixi Plus vs. HP Veer: what’s changed? If you like ’em cute, small, and (presumably) cheap, HP’s announcement today of the Veer should make you pretty happy — on the surface, it looks like a downsized Pre, but really, you can think of it as a proper Pixi / Pixi Plus successor. Let’s take a look at what sets these two bad boys apart from one another. Continue reading Palm Pixi Plus vs. HP Veer: what’s changed? 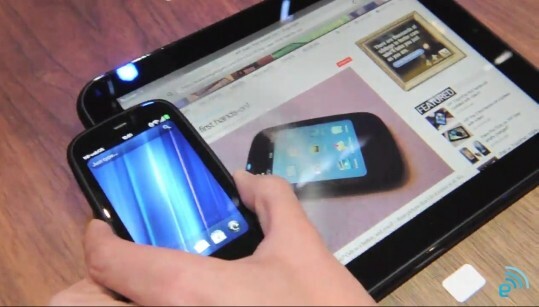 Palm Pixi Plus vs. HP Veer: what’s changed? originally appeared on Engadget on Wed, 09 Feb 2011 15:09:00 EDT. Please see our terms for use of feeds. 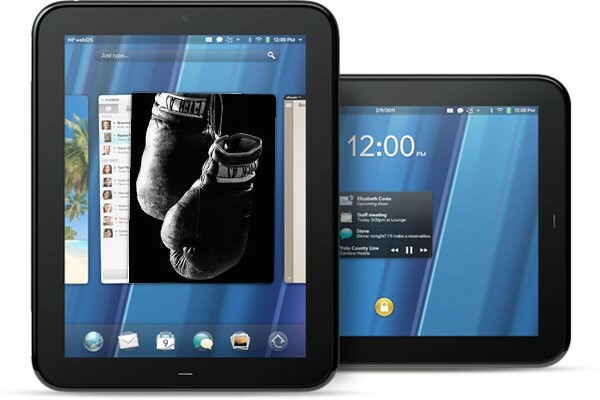 Spec sheets are one thing, but we know what you really want to see — two tablets going mano-a-mano in the ring. Here they are, your Apple iPad and HP TouchPad slates, sized up side-by-side each with their own sizable black bezel and 9.7-inch screen — and incredibly similar in both size and weight. See how they literally stack up in the gallery below! Gallery: iPad vs. TouchPad… Fight! 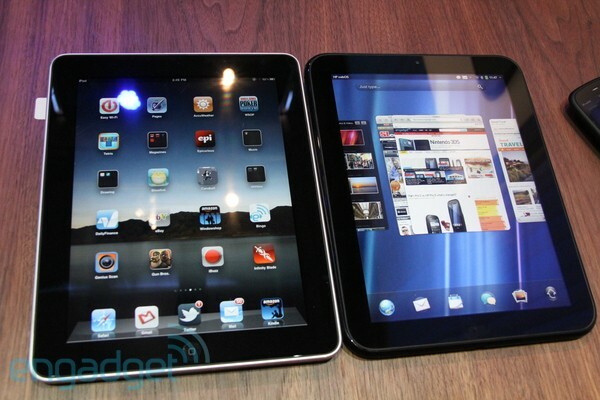 iPad vs. TouchPad… Fight! originally appeared on Engadget on Wed, 09 Feb 2011 15:04:00 EDT. Please see our terms for use of feeds. Looking for our Motorola Atrix 4G review? Hey there. Yes, you. If you’re looking out for the Motorola Atrix 4G review — don’t despair. We just got our hands on the device yesterday (that’s us man-handling it up above), and we’re currently in the process of putting it through its paces (along with the laptop dock, HD / desktop dock, and all the accessories). We didn’t think 24 hours was quite enough of a window to tell you how we really felt about this monumental device, so we’re giving ourselves the space and time we think is necessary to properly review the phone and all its features. Don’t worry though, we’ll have the full, unadulterated Engadget review up in the coming days (probably by the end of the week). Right now we can say that we’re pretty impressed with the device’s blazing speed and gorgeous screen, but our experiences with the laptop dock have been hit or miss. It’s clearly a mixture that takes some getting used to — but we’re excited about the prospect of trimming down our rig and traveling light. The two pieces could make for a powerful combo. Of course, we’re going to deliver a lot more detail in the review, so keep your browsers pointed at this page right here, and get ready to find out if, indeed, the Atrix 4G is your next phone. 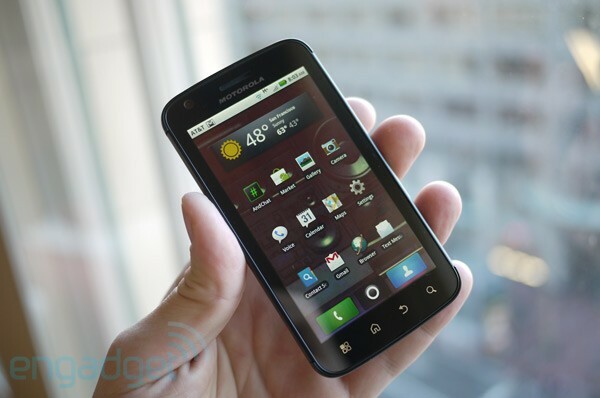 Looking for our Motorola Atrix 4G review? originally appeared on Engadget on Wed, 09 Feb 2011 15:00:00 EDT. Please see our terms for use of feeds. 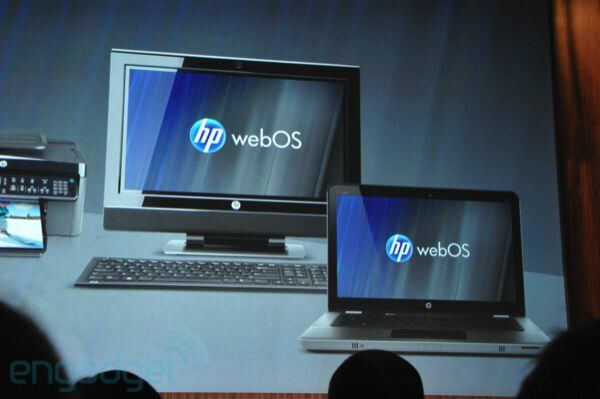 HP’s decided to end its fireworks-rich presentation on a gorgeous bombshell: webOS is coming to PCs! The company says it’s thinking beyond today and intends to take webOS to “other connected devices, including printers, and some form factors you haven’t seen before.” Aside from the groundbreaking discovery that our next LaserJet might run the same code as the dashing new TouchPad, there are few specifics to be learned, but HP promises to share further details as the year goes on. 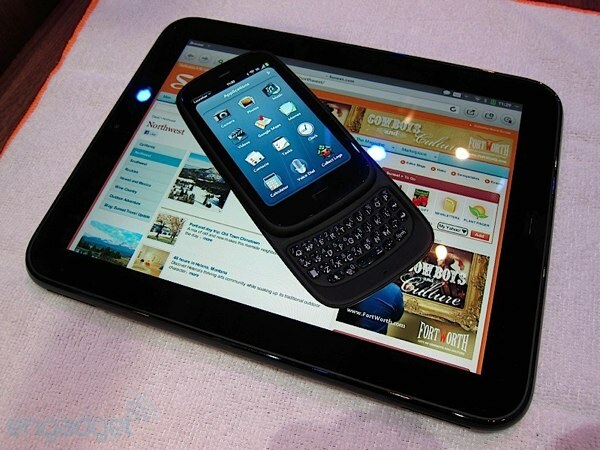 webOS is coming to PCs later this year originally appeared on Engadget on Wed, 09 Feb 2011 14:56:00 EDT. Please see our terms for use of feeds. This entry was posted on February 9, 2011, 5:47 pm and is filed under Mobility. You can follow any responses to this entry through RSS 2.0. Both comments and pings are currently closed.